This DIY Taco Seasoning recipe is just about as easy as it gets. You’re only nine ingredients away from an inexpensive, preservative-free taco seasoning! Confession: I go back and forth with making my own seasoning mixes and buying convenient store-bought packages. I’d like to say that I always cook from scratch, but honestly – who would I be kidding? Not to mention, I’d be lying to myself. 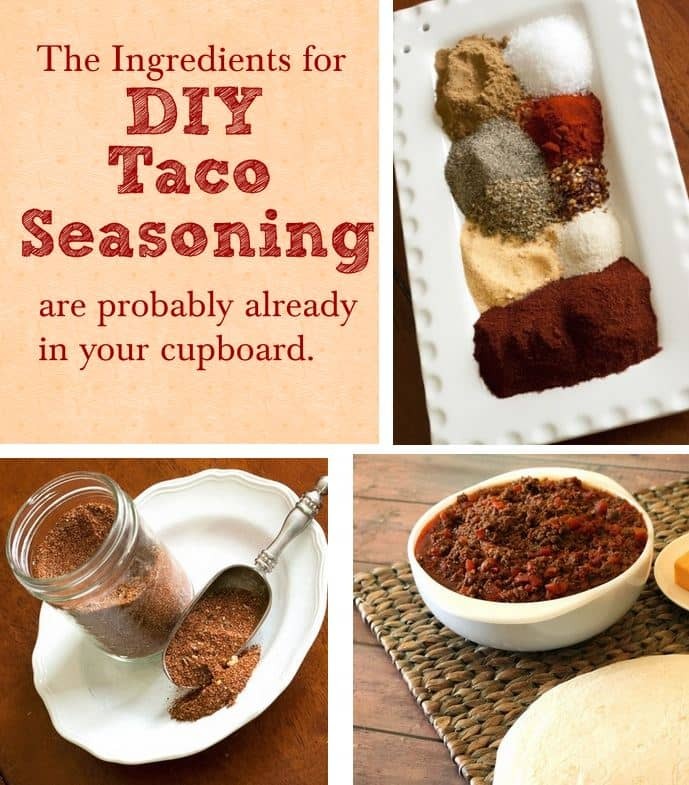 Why Make DIY Taco Seasoning? Even though I may buy taco mix packets at the store sometimes, I try to remind myself that making DIY Taco Seasoning is really easy to do. The kicker — no preservatives. 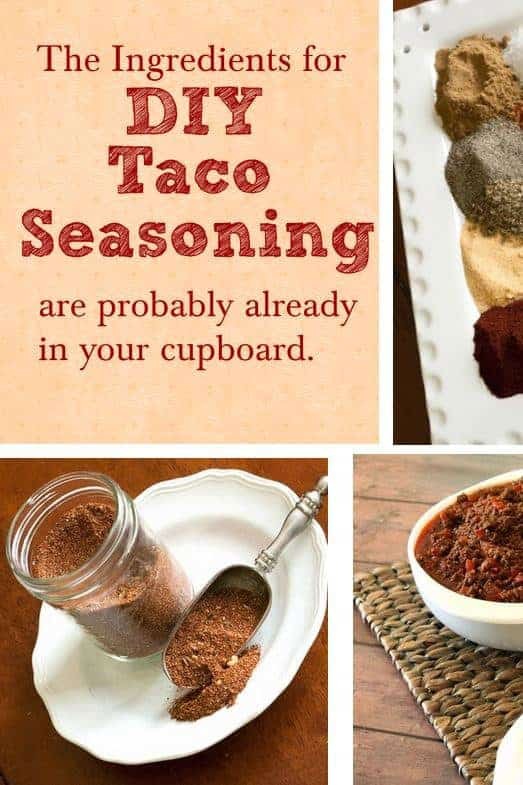 When you make DIY Taco Seasoning, you’ll know that all the seasoning contains are the spices you put into the mix yourself. Now, I’m not anti-preservative, but I am pro-healthy eating. Meaning, I’m not going to hate on eating healthier from time to time — and as long as its fast and easy, I’m going to be all over it. Plus, not much is faster than mixing up DIY Taco Seasoning. I like to make a big batch of seasoning because I use it a lot. Look at this huge jar I recently made of DIY Taco Seasoning. That’s a lot of packets worth of seasoning! What’s in DIY Taco Seasoning? What’s Not in DIY Taco Seasoning? Nope, just nine simple spices! 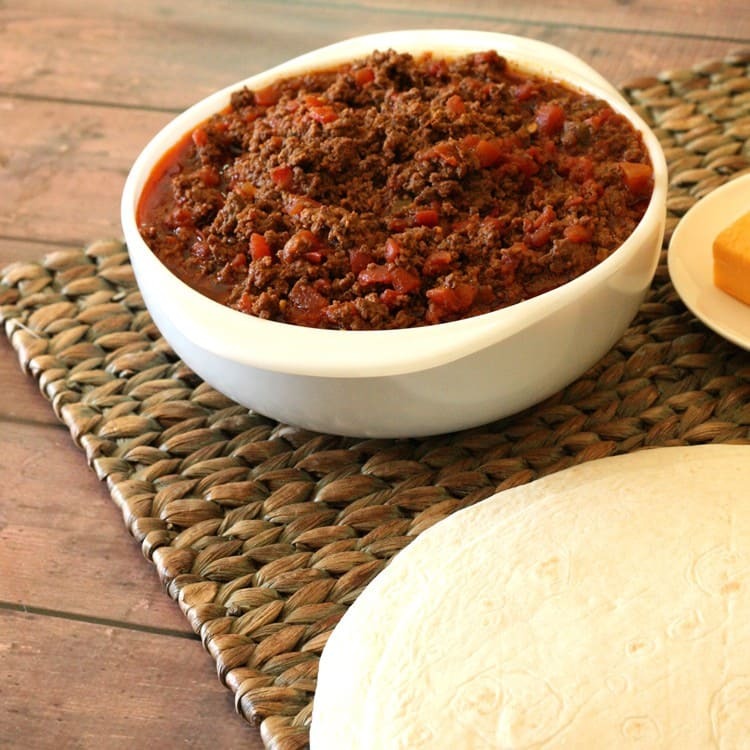 I love to use DIY Taco Seasoning in my favorite 3 Ingredient Slow Cooker Tacos. Which can also be used in Smothered Beef and Bean Burritos– a freezer meal you’ve just got to try to believe. 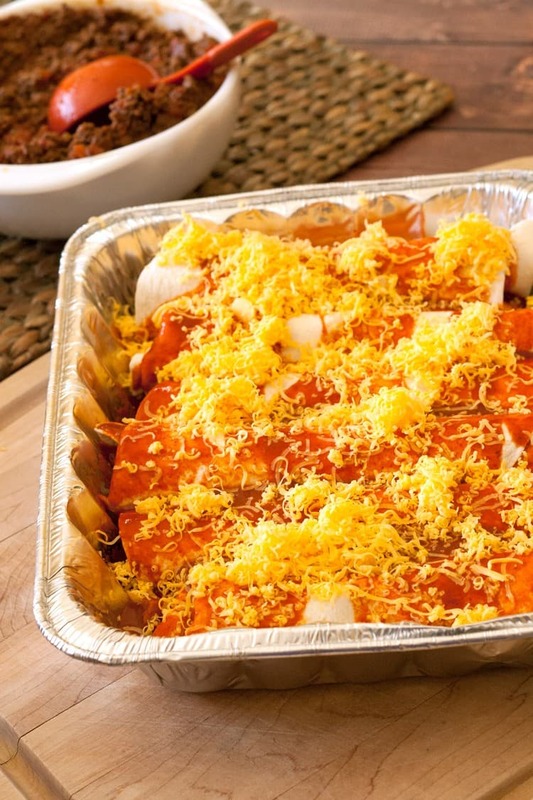 With this homemade taco seasoning recipe, you’ll be eating plenty of tasty taco recipes. Like this Recipe? Try my DIY Ranch Seasoning! If you’re on a make-my-seasonings-at-home kick, make sure to try my tasty Ranch Dressing Mix recipe. You can use it to make ranch dressing, ranch dip, ranch seasoning, ranch marinade… the possibilities are endless! 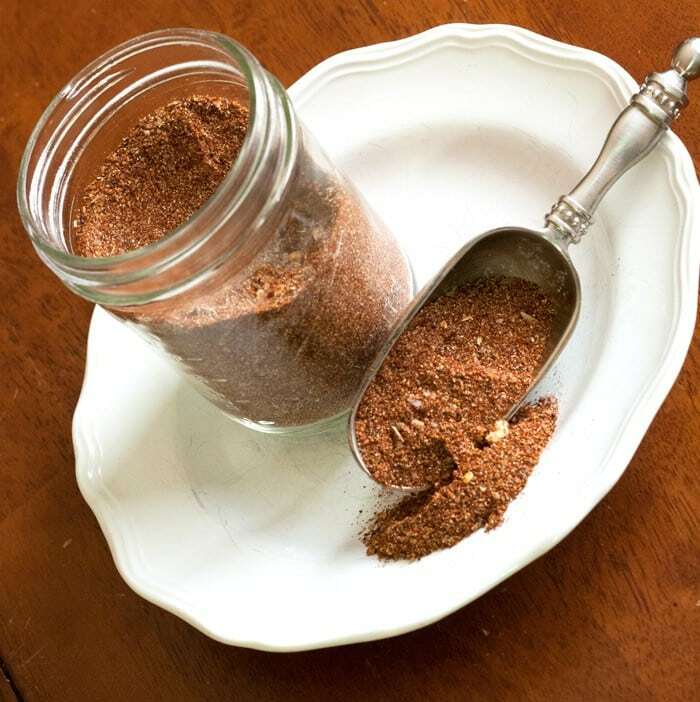 This DIY Taco Seasoning Mix comes together so quickly and is a great preservative-free alternative to traditional taco seasoning packets. 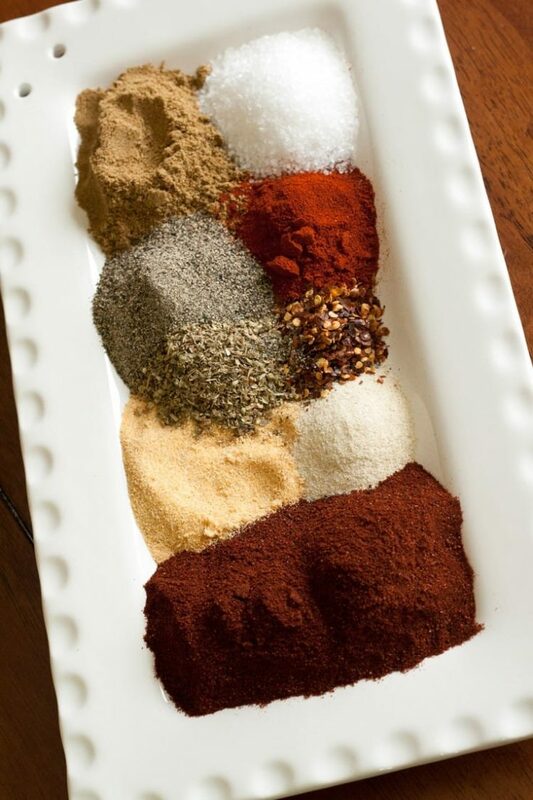 Mix together all spices and store in an airtight container. When ready to use, add about 2 tablespoons of seasoning per pound of meat. Add 1/3 cup of water and simmer until reduced.